The USDA has failed to safeguard the meat supply from drug residues and toxic metals, which may result in jaundice and other liver issues. The discovery of infectious hepatitis E virus in retail pork products may help explain the purported association between liver failure and pork consumption. The transfer of blood on cutting machines may explain hepatitis C transmission between deli workers. Potentially toxic to the liver: noni juice, Herbalife® supplements (see here, here), spirulina (see here, here), cod liver oil, BPA in plastics, JuicePlus+® supplements, and shark cartilage. The good news is that a vegetable protein diet appears to treat liver failure. Indian gooseberries may also protect the liver. And Ceylon cinnamon is the safest because it does not contain coumarin, which may damage the liver at toxic doses. Lastly, chamomile tea may not be safe to consume if you have a liver disease. Dr. Greger covers liver disease in his full-length presentation, Uprooting the Leading Causes of Death, where he explores the role diet may play in preventing, treating, and even reversing our top 15 killers. Researchers from the University Hospital of Bern in Switzerland report 10 cases of hepatotoxicity. A questionnaire was sent to all public Swiss hospitals. Cases covering the years 1998 to 2004 were evaluated to determine a causative role of the products. Herbalife dietary supplements were implicated in 12 cases of toxic hepatitis — 10 cases warranted further assessment. The time from starting treatment to onset of liver toxicity was 5 months (range 0.5-144). Liver biopsy in 7 cases showed hepatic necrosis (liver cell death). There was marked lymphocytic/eosinophilic (white blood cell) infiltration and cholestasis (blocked bile flow) in 5 patients. One patient with fulminant (severe) liver failure got a liver transplant. The likelihood of an Herbalife product causing the liver toxicity was classified as certain in 2, probable in 7 and possible in 1 case(s). All patients recovered within weeks after Herbalife products were discontinued, with the exception of the patient who underwent liver transplantation and a patient who developed cirrhosis. Herbalife International is a company that sells weight-loss, nutrition and skin-care products. The abstract does not specify which ones. The authors’ abstract from Digestive Diseases Week meeting in 2006 concludes, this is the first case series of toxic hepatitis implicating Herbalife products. Mostly immuno-allergic mechanisms appear to be responsible. Liver toxicity may be severe, causing fulminant hepatic failure and veno-occlusive (blockage) liver disease. A high degree of suspicion and appropriate history taking is mandatory to reveal the potential for hepatotoxicity of “innocuous” dietary supplements. Also, better declaration of components and a more active role of regulatory agencies in surveillance of such products would be desirable. Researchers at the David Geffen School of Medicine at UCLA, in Los Angeles, California, studied the effects of arginine + antioxidants on exercise performance in older people. 16 elderly male cyclists were randomly assigned to a treatment group for 3 weeks. Exercise parameters were assessed by maximal incremental exercise testing performed on a stationary cycle ergometer using breath-by-breath analysis at the start and weeks 1 and 3. Neither the patients nor researchers knew the treatment given — double blind. In the Niteworks group, anaerobic threshold significantly increased 17% at week 1, and the effect was significantly sustained by week 3. In the placebo group, there was no change in anaerobic threshold. The anaerobic threshold for the Niteworks group was significantly higher vs placebo at week 1 and week 3. There were no significant changes in VO2 max (a measure of aerobic capacity) between placebo and Niteworks groups at either week 1 or 3 when compared to the start of the study. There were no side effects in either group. It’s not stated in the study whether aside from positive changes in anaerobic threshold there were clinically meaningful benefits. Does a 17% change result in better quality of life, greater activities of daily living, etc.? More background on arginine and exercise performance is here. 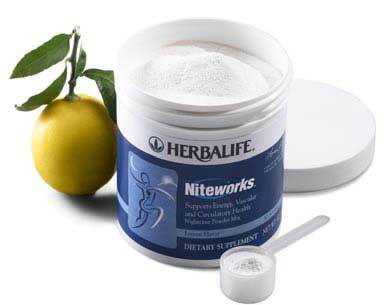 NOTE: The study, conducted at UCLA and funded by Herbalife, used Herbalife’s original formula Niteworks. The current product has a slightly different formula, although no changes were made to the active ingredients, according to the article published on Medical News Today. ConsumerLab.com has reported the results of quality control tests on black cohosh supplements, soy and red clover isoflavone supplements, and progesterone creams. Among the products tested, quality was inconsistent according to an article on HealthNewsDigest.com. 1 supplement provided 30% of the isoflavones on the label. Another supplement provided 65% of the claimed amount of glycitein — an isoflavone in soy. Lead contamination was detected in 1 supplement. 2 products violated FDA labeling requirements by not specifying the plant parts used as ingredients. 6 supplements met quality standards. 3 creams provide their listed amount of progesterone. Brands tested included Balance, Herbalife, Kevala, Life-flo, LifeWise, Natrol, Natures Answer, Natures Bounty, Nature Made, NOW, Nutrilite, Oona, Puritan’s Pride, Rainbow Light, Swanson, TruNature (Costco), Vitamin Shoppe, Vitamin World, and Vitanica. You’ll have to buy the report to learn more. Dietary supplements (DS) are easily available and increasingly used, and adverse hepatic reactions have been reported following their intake. To critically review the literature on liver injury because of DSs, delineating patterns and mechanisms of injury and to increase the awareness towards this cause of acute and chronic liver damage. Studies and case reports on liver injury specifically because of DSs published between 1990 and 2010 were searched in the PubMed and EMBASE data bases using the terms ‘dietary/nutritional supplements’, ‘adverse hepatic reactions’, ‘liver injury’; ‘hepatitis’, ‘liver failure’, ‘vitamin A’ and ‘retinoids’, and reviewed for yet unidentified publications. Significant liver injury was reported after intake of Herbalife® and Hydroxycut products, tea extracts from Camellia sinensis, products containing usnic acid and high contents of vitamin A, anabolic steroids and others. No uniform pattern of hepatotoxicity has been identified and severity may range from asymptomatic elevations of serum liver enzymes to hepatic failure and death. Exact estimates on how frequent adverse hepatic reactions occur as a result of DSs cannot be provided. Liver injury from DSs mimicking other liver diseases is increasingly recognized. Measures to reduce risk include tighter regulation of their production and distribution and increased awareness of users and professionals of the potential risks. HSC/MFB, hepatic stellate cells/portal myofibroblasts. The use of dietary supplements (DS) containing vitamins, anti-oxidants, fibre, trace elements, proteins, amino acids and herbal constituents has become a major health trend in affluent societies (1, 2). Consumption of DS in the USA has doubled to 18.9% of adults admitting their use only between 1999 and 2004 (3, 4); some investigations report their consumption up to 47% in certain subgroups such as among elder, non-smoking females with higher education (5). The rising popularity of DS is probably because of an increased awareness of consumers towards health in general and the desire to prevent diseases by an optimized nutritional status, and the persuasion that these treatments are safe (1, 2, 5, 6). Further, DS do not require prescriptions from health professionals allowing largely unrestricted access to relatively cheap products. Consequently, marketing such products has become a multibillion business largely unregulated by official health authorities (6–8). 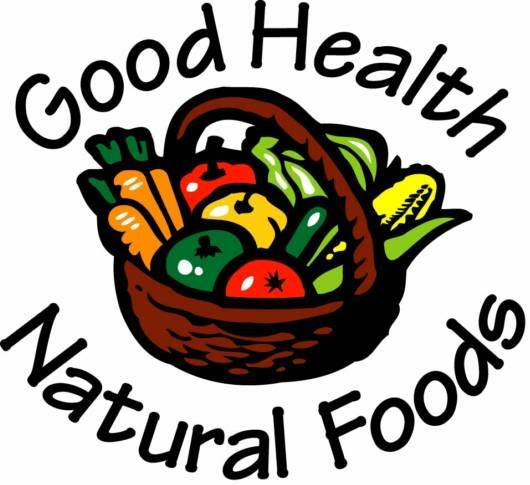 In the USA, DS are expected to meet the standards outlined in the Dietary Supplement and Health Education Act published in 1994, which allows distribution without prior approval of their efficacy and safety by the Food and Drug Administration (FDA) (9). This simplified licensing practice does not ensure efficacy and safety in the same strict way as with the approval of conventional medications and treatments. Similarly, the European Union has set forth legislative measures for the distribution and marketing of DS and functional foods that are outlined in the European Commission 2000 White Paper on Food Safety (10, 11). This set of legislation pays tribute to the fact that DS may harbour specific problems because of their complex composition, particularly with respect to quality aspects, and defines guidelines for conducting premarketing in vitro and in vivo studies. While adverse hepatic reactions from xenobiotics are well documented by pre- and post-marketing pharmacovigilance, the situation for DS is less well depicted as widespread and uncontrolled use and under-reporting prevent the determination of their true incidence. Additionally, a low awareness of users and providers towards their potential harms impedes their recognition as the causative agent in incidents of hepatotoxicity. Consequently, estimates of the frequency of DS-associated hepatic injury are likely imprecise and, possibly, too low. The proportion of hepatotoxicity ascribed to DS varies from 2% in a Spanish study (12) describing 531 cases of drug-induced liver injury (DILI) to approximately 10% in a series from the US Drug-Induced Liver Injury Network (DILIN) (13). Figures were as high as 35% in a small series of 20 patients developing acute liver failure with DS exposure as the only identifiable cause of liver damage (14). Our article aimed to review and describe the literature on liver injury because of DS, delineate patterns and mechanisms of injury and to increase the awareness towards this possible cause of acute and chronic liver damage. In February 2010, case reports and series thereof on liver injury specifically occurring following the consumption of DS published between 1990 and 2010 were searched in PubMed and EMBASE data bases using the terms ‘adverse hepatic reactions’, ‘anabolic steroids’, ‘Camellia sinensis’, ‘dietary/nutritional supplements’, ‘Herbalife’, ‘hepatitis’, ‘Hydroxycut’, ‘green tea’, ‘liver failure’, ‘liver injury’, ‘Noni’, ‘retinoids’, ‘vitamin A’ and critically reviewed. Retrieved publications were searched for yet unidentified publications. Remedies were considered DS if consumed as an aid to improve nutritional status, to loose weight or to treat constipation. Cases of liver injury from preparations taken for other causes than nutritional purposes were not included. No language restriction was used. While hepatotoxicity from herbal medicines in general has been addressed in several reviews (15–18), summaries specifically devoted to liver-related risks along with DS are scarce (19). In the following, a panel of rather distinct DS preparations associated with liver injury are described (Table 1). Herbalife® (Los Angeles, CA, USA) sells nutritional and herbal supplements as tablets, capsules, drinks and energy bars for weight control, improvement of nutrition, ‘well-being’ and cosmetics. In 2006, the stock market quoted that Herbalife® company had a revenue of US$3.1 billion via online marketing or through independently operating sales agents. There are so far six published reports on liver damage following the intake of Herbalife® products since 2007 describing 34 cases from five countries (Switzerland, Israel, Spain, Argentina and Iceland), although Herbalife® products are sold in at least 60 countries worldwide (20–25). Individual data of all reports are displayed in Table 2. Pattern of injury was mostly hepatocellular, but mixed and cholestatic enzyme patterns were also observed. Severity ranged from mild to severe hepatic damage including cirrhosis and acute liver failure requiring liver transplantation, which was successful in one patient while the second died because of post-operative complications. Causality between intake of Herbalife® products and the evolution of liver injury was assessed by widely used scores (26, 27) in five of the six reports and considered ‘certain’ in at least five patients by a positive rechallenge reaction and ‘probable’ in the majority of the remaining cases (20, 21). Since Herbalife®-related liver injury was first reported in 2005 in Switzerland (28) and Spain (29), some countries (Israel and Switzerland) have not noticed further incidents after publication of corresponding series, while other investigators continue to see new cases (G. Manso and M. Johnannsson, personal communication). However, Herbalife® representatives have so far denied the causal relationship between the consumption of their products and cases of liver injury (30). It still remains entirely speculative what might have been the cause of liver damage in the published cases as patients took up to 17 different Herbalife® products at the same time, which makes it extremely difficult if not impossible to identify the crucial compound(s). Based on the observation of plasma cell infiltrates in some patients, Elinav et al. (20) hypothesized that immune-mediated liver injury could be a possible explanation in some cases. Moreover, speculations over possibly adulterated products evolved after a report on two patients of which one developed cirrhosis (Fig. 1) demonstrated bacterial contamination of several Herbalife® products with Bacillus subtilis as a possible explanation of liver injury (24). Herbalife® runs numerous production sites worldwide that deliver products to different regions, suggesting that spoiled products contaminated with certain germs, chemicals such as softeners, preservatives, flavour enhancers, pesticides or heavy metals either intentionally added during the manufacturing process or accidentally contained in the unrefined raw products, i.e. herb extracts, could have been responsible for locally restricted series of hepatotoxicity. Green tea is among the most frequently consumed drinks in the USA and often used as a DS. The first report on liver injury following the ingestion of green tea extracts and preparations thereof was published in 1999 (31), and since then, numerous consecutive cases were reported to regulatory agencies worldwide. With effect of April 2003, the manufacturer of Exolise® (Arkopharma, Carros, France), a hydro-alcoholic extract of C. sinensis, has revocated all of their products after altogether 13 cases of acute liver damage following its intake were reported to the French pharmacovigilance authorities (Agence Francaise de Securité Sanitaire de Produits de Sanité; http://www.afssaps.sante.fr). As a reaction to these accumulating reports, the US Pharmacopeia performed a systematic review of all cases accessible from PubMed, EMBASE and pharmacovigilance data bases in the USA, Canada, UK and Australia reporting on 34 single cases of liver injury following the ingestion of numerous different green tea preparations (32). Herein, case reports were retrospectively evaluated according to the Naranjo causality algorithm scale (33), and 27 reports pertaining to liver damage were labelled as ‘possibly’ and the remaining seven cases as ‘probably’ linked to green tea. Another Medline search review of cases on green tea liver injury from the same year also retrieved 34 published reports and described two further yet unpublished cases (34). On histological examination, livers of patients revealed inflammatory reactions, cholestasis, occasionally steatosis and necrosis. Although there was some overlap of single reports between these two review articles, collected case reports were not identical and jointly provided details on 58 cases of hepatotoxicity along with the intake of green tea extracts, powdered leaves, green tea infusions and hydro-alcoholic and aqueous extracts. In Mazzanti's summary, no causality re-evaluation was performed, but information on de- and rechallenge is provided for every case indicating a positive rechallenge response with accelerated recurrence of liver injury in seven of 36 incidents, which strongly suggests a causal relationship between the observed liver injury and green tea consumption. Of concern is that there was one reported death. However, a note of caution is warranted in many of the cases regarding an exclusive assignment of causality to green tea, because many patients who experienced adverse hepatic reactions also took numerous other products with a published record of hepatotoxicity, such as Cassia angustifolia, Hydroxycut and Ephedra sinica (for all three, please see below). Since these two review articles, additional cases have been published from Belgium reporting on a 42-year-old female patient who developed cholestatic hepatitis 6 months after starting Densitive® (Kerastase Nutritients, L'Oréal, Paris), which contains C. sinensis (35). Upon dechallenge, a full recovery was recorded. Other causes of liver injury were carefully excluded, but formal causality assessment using an established score was not performed. In the second case, jaundice, weight loss and subacute hepatitis developed in a 76-year-old man who regularly drank green tea infusions (36). Histology showed marked necro-inflammation, and transiently elevated antismooth muscle auto-antibodies were suggestive of autoimmunity induced by green tea constituents. The mode of toxicity derived from green tea still remains incompletely understood but could be because of (−)-epigallocatechin gallate or its metabolite (−)-epicatechin gallate, which, under certain conditions such as fasting, can induce oxidative stress-related liver damage (37). Interestingly, in vitro and in vivo experimental studies have demonstrated both hepatoprotective as well as hepatotoxic properties (37–40). Along this line, support for potentially hepatoprotective activity from green tea extracts comes from clinical studies studying its therapeutic effects in humans with liver diseases including liver cancer, cirrhosis and steatosis. Four randomized-controlled clinical trials, two cohort, one case–control and three cross-sectional studies from China, Japan and the USA were recently subjected to a systematic review and found overall favourable effects from green tea as reflected by reduced mortality, attenuated steatosis and reduced incidence of primary liver cancer (41). Whether the risks from green tea consumption outweigh their benefits remains open, but current evidence as outlined above suggests a causal relationship between intake of green tea-containing products and hepatotoxicity. Consequently, in their systematic review, the US Pharmacopeia included a cautionary statement on green tea indicating this possibility (32). Some years ago, several cases of acute liver failure requiring liver transplantation following the intake of LipoKinetix®, a product extracted from lichens and fungi and sold as DS capsules, were reported (42–45). Onset of liver injury was usually acute with a maximum latency of 3 months and the injury pattern hepatocellular with massive elevations of ALT and AST. Lipokinetix contained usnic acid and was marketed as a weight-loss remedy. Efficacy for this indication was postulated based on its function as an uncoupler of the respiratory chain, which in principle can augment weight loss (46). Apart from usnic acid, LipoKinetix® contained norephedrine hydrochloride, diiodothyronine, yohimbine hydrochloride and caffeine, which were confirmed by analysing the used LipoKinetix® lots. None of the ingredients were associated previously with liver damage and inadvertent contamination was excluded. These serious events caused the withdrawal of LipoKinetix® from the market. Only recently, several Hydroxycut products were retracted by the manufacturer following a warning posted by the FDA in May 2009 because of 23 reports of liver injury including cases with acute hepatic failure and subsequent liver transplantation (47–49). Hydroxycut preparations were sold as powder, capsules and tablets by conventional retailers, through Internet sources and via direct television marketing. Hydroxycut was used to support weight loss and by body builders. The manufacturer had been charged previously with several lawsuits for unfounded health claims. Before May 2009, its primary ingredients included Garcinia cambogia, Gymnema sylvestre, chromium polynicotinate, caffeine and green tea. Published cases were recently reviewed and showed acute onset after several weeks of intake with high levels of serum aminotransferases in the majority of cases, while others presented with a more insidious, usually cholestatic course (50). Various other DS have been associated with acute and subacute liver damage such as Senna (C. angustifolia), which is used as a powder, tea or suppository to treat constipation. According to our search, a total of five reports with altogether five individual cases describe the evolution of variable liver pathologies including acute cytolytic hepatitis, subacute cholestatic hepatitis, acute liver failure and portal vein thrombosis upon consumption of Senna products (51–55). In some reports, Senna preparations were self-made or ingested excessively such as in a young woman taking approximately 10 times the recommended dose who developed cytolytic hepatitis, which completely subsided after stopping Senna (51). The causal relationship between the preparation and hepatitis was confirmed through a positive rechallenge in two cases (51, 52). Senna is biotransformed via intestinal bacteria to rhein anthrone, which is highly reactive and requires binding to glucuronide and sulphate via phase I oxidation for renal excretion (56). Rhein anthrone is suspected to function as an uncoupler of the respiratory chain, and can therefore possibly affect hepatocyte integrity under certain circumstances, such as in genetically predisposed individuals. Seybold et al. (52) describe a case of increased toxicity of Senna tea in a homozygous carrier of a genetic cytochrome P450 2D6 variant rendering the individual a poor metabolizer for phase I hepatic detoxification reactions. Noni juice (Morinda citrifolia) has become increasingly popular in Western countries as a health tonic. Consumption of Noni was the presumed cause of acute hepatitis in a 45-year-old man who drank a glass of this tropical fruit over several weeks for preventive reasons and for ‘strengthening the immune system’ (57). Other possible aetiologies of acute hepatitis were ruled out and liver tests rapidly turned normal after the cessation of Noni intake. Since this first report in 2005, five additional cases have been published from Austria, Germany and Spain (58–61). Remarkably, two patients experienced liver failure of which one required liver transplantation. The pattern of liver injury was hepatocellular in all cases and occurred rapidly within a few weeks of exposure. Causality was formally assessed in two publications, but not considered ‘certain’ in any of the cases because no rechallenge was used. Also, at least two of totally six patients had concomitant medication with known hepatotoxic potential, such as interferon-β (62) and a Chinese herbal mixture (63) respectively. Responsibility of Noni preparations as the cause of liver injury in these cases is challenged by one of the manufacturers of Noni products (64, 65) by demonstrating experimental evidence of no dose-dependent hepatotoxicity and even hepatoprotective properties in some animal models of chronic liver injury (66, 67). However, a lack of dose-dependent hepatotoxicity does not exclude idiosyncratic drug toxicity, e.g. by inducing autoimmune reaction as shown by Yuce et al. (59) who found excessively high liver–kidney microsomal antibodies of 1:3840 in a patient drinking Noni juice for 4 weeks. Nevertheless, the true underlying pathophysiology of Noni-associated liver injury remains elusive because active components within Noni extracts such as flavonoids, glycosides, vitamins, anthraquinones and polyunsaturated fatty acids are not known to be hepatotoxic. Chinese herbs have become highly popular among consumers in Western countries because of a prevailing belief in their efficacy and safety. Among many others, Ma huang (E. sinica) is marketed in the USA as a nasal decongestant and bronchodilator, and more recently as a weight-loss remedy. The first report of Ma huang-associated liver injury was about a woman developing acute hepatitis together with elevated antinuclear antibodies (ANA) and smooth muscle antibodies (SMA) after only 3 weeks of intake of Ma huang, but liver abnormalities resolved after its discontinuation (68). Another report suggested that intake of Ma huang was the cause of acute liver failure in a 58-year-old patient initiating her listing for high-urgency liver transplantation who also presented with elevated titres of SMA (69). Another report suggested an association of Ma huang-related liver injury with compound heterozygosity for the C282Y and H63D mutation in the haemochromatosis gene, proposing that excess hepatic iron could aggravate hepatotoxicity, possibly via enhancing oxidative stress (70). The largest series on severe liver injury because of the intake of Ma huang by Neff et al. (71) describes 10 cases of acute cytolytic hepatitis of which two subjects required liver transplantation and one died, while the remaining seven patients recovered spontaneously. These cases of severe liver damage and others referring to cardiac toxicity have prompted a warning by the FDA for the use of Epedra-containing DS such as Ma huang (72). In 1986, Germander (Teucrium chamaedrys) was approved as a drug for the supportive treatment of obesity in France. Its subsequent widespread use precipitated numerous reports on acute, chronic and even fulminant hepatitis to the French pharmacovigilance authorities in 1992 (73–75). Within a median of 2 months, intake of daily doses between 600 and 1600 mg/day precipitated acute cytolytic hepatitis or chronic hepatitis with fibrosis and even cirrhosis (74, 76). All patients recovered after the discontinuation of treatment, but some relapsed under re-exposure. Germander contains saponins, glycosides, flavonoids and neoclerodane diterpenoids, which were shown to be converted into diterpenoid toxic metabolites by cytochrome P450 3A in mice (77). In conditions of glutathione depletion – such as during fasting – or after induction of cytochrome P450 3A, toxic diterpenoids are potent inducers of hepatocyte apoptosis (78, 79). Hence, in 1992, the license for Germander-containing products was withdrawn. ‘Onshidou-Genbi-Kounou’, another herbal marketed for weight loss, seemed the likely cause of chronic hepatitis in a 52-year-old Japanese woman who took this preparation for 2 months (80). Serum levels of liver enzymes were elevated to >1500 IU/l and ANA were positive with 1:160. All other possible causes for chronic hepatitis were excluded, and liver histology was compatible with drug-induced autoimmune hepatitis. The patient recovered completely without intervention on cessation of ‘Onshidou-Genbi-Kounou’ intake. In a larger series from Japan describing 12 patients with acute hepatitis after taking ‘Onshidou-Genbi-Kounou’ and ‘Chaso’ for weight loss, two patients developed liver failure of which one survived after successful liver transplantation and the other one died (81). ‘Onshidou-Genbi-Kounou’ contains several natural compounds (amachazuru, tea leaf, barbaloin, total saponin and polyphenols) and N-nitroso-fenfluramine. The latter demonstrated induction of mitochondrial permeability transition and hepatocyte apoptosis following uncoupling of oxidative phosphorylation and intracellular ATP depletion (82, 83). DS fortified with vitamin A are used to prevent night blindness, to increase immune function and to promote health in general. Liver injury related to hypervitaminosis A is well known for many decades and comprises mild elevations of serum liver enzymes, cholestatic hepatitis, non-cirrhotic portal hypertension, progressive fibrosis and cirrhosis (84–87). Toxicity does not usually occur with standard doses below 50 000 IU/day as contained in common multivitamin preparations, but individual tolerability may vary (88). Pre-existing liver lesions including steatosis, chronic alcohol consumption, comedication with other potentially hepatotoxic drugs and young age may predispose certain individuals to develop vitamin A hepatotoxicity (89, 90). Several case reports have demonstrated significant hepatotoxicity with vitamin A doses as low as 20 000 IU/day (91), and upper limits of tolerability may even be lower in regular alcohol consumers (92). Toxicity is mediated to the dose-dependent effect of retinoids on hepatic stellate cells/portal myofibroblasts (HSC/MFB), which are the key effector cells in the evolution of fibrosis and cirrhosis (93). Upon excessive vitamin A exposure, HSC/MFB start to produce collagens, downregulate collagenase activity and acquire the ability of contraction leading to elevation of blood pressure in the portal vein. In addition to this direct impact on HSC/MFB function and activity, retinoids can be transformed into metabolites that affect mitochondrial function and hepatocyte viability with resulting liver cell apoptosis (94, 95). This was shown to occur particularly when co-administered with alcohol. Dan and colleagues showed that retinoids can be transformed via alcohol-induced cytochrome P450 2E1 into highly reactive and toxic polar metabolites, which cause hepatocyte apoptosis upon caspase 3 activation (Fig. 2). Hence, health professionals should consult users carefully about the potential dangers of vitamin A, particularly when intended for longer period, in children and regular alcohol consumers. Anabolic steroids are an integral part of the nutritional concept of many athletes to improve fitness, muscle gain and exercise performance. Their use is widespread although anabolics are classified as class III substances and therefore subdued to strict rules (96). However, access via inofficial and sometimes illegal sources is easy, and therefore, in spite of tight rules, further adverse hepatic reactions following the consumption of anabolic steroids can be expected. Hepatotoxicity has been frequently described and patterns of injury delineated. Liver lesions include intrahepatic cholestasis, hepatitis, adenoma and hepatocellular carcinoma and rare malformations such as peliosis hepatis, a rare pathological entity characterized by the gross appearance of multiple cyst-like, blood-filled cavities within the liver (97, 98). A recent case series demonstrated the evolution of cholestasis 2 weeks after the intake of anabolic steroids had been stopped. All patients recovered fully after intake had been terminated (99). Even more worrisome is the observation that some DS may contain anabolic steroids sufficient to precipitate liver injury, as demonstrated by a recent case report showing cholestasis in two young men who took DS to enhance their body-building performance (100). Another case presented with a less favourable course as prolonged intrahepatic cholestasis and subsequent kidney failure developed (101). The precise mechanism underlying toxicity is yet unclear, but experimental data indicate direct hepatocellular toxicity from steroids via increased oxidative stress and subsequent impairment of function of the canalicular bile salt export pump (100). A recent case–control study from Brazil suggested that anabolic steroids could be a cause of toxicant-associated non-alcoholic fatty liver disease (TAFLD) by comparing 95 recreational body builders using anabolic steroids with 85 non-users. In those consuming anabolic steroids, 12.6% of subjects revealed criteria compatible with TAFLD such as steatosis on ultrasound imaging, elevated serum transaminases and exclusion of relevant alcohol intake or concomitant medication, but no overweight or insulin resistance suggestive of metabolic NAFLD. In turn, 2.4% of body builders not using anabolic steroids showed clinical signs and findings suggestive of NAFLD. The authors concluded that the intake of anabolic steroids could be a cause of non-metabolic, but toxicant-associated NAFLD (102). Hepatic injury secondary to consumption of DS is recognized, although its exact frequency remains unclear, mostly because evidence relies exclusively on case reports. Lack of stringent diagnostic criteria, poor awareness of consumers and prescribers, easy and uncontrolled access and under-reporting account for this epidemiological gap of knowledge. Diagnostic assessment of DS-associated should be made more consistent, and customized specifically to DS. Although causality categories reached in many of the published reports suggest a causal relationship between liver injury and the intake of certain DS products, pitfalls exist related to the used diagnostic scales, which have all been criticized for variable reasons and of which none is unequivocally accepted as being suitable for the evaluation of DS as a cause of liver injury. While the WHO score is not specifically designed to evaluate DILI (103), the Naranjo adverse drug reaction probability scale (33) was recently found to have low sensitivity (54%), poor negative predictive value (29%) and to lack reproducibility in a large series of cases of suspected hepatotoxicity (104) when compared with the Roussel Uclaf Causality Assessment Method (RUCAM) (26, 105). A clinical diagnostic scale has been suggested as a simple tool to assess adverse hepatic drug reactions and showed good correlation with RUCAM in one study (106), but not in another (107). To conclude, all used scores reveal merits and limitations, but a common consensus on which one is the best to apply in causality assessment of DS-associated liver damage has never been reached. In an approach to compensate for this lack of common agreement, recently, the DILIN was established to advance our understanding and research into DILI by initiating a prospective registry of patients with DILI for future studies into host clinical, genetic, environmental and immunological risk factors, and to develop standardized nomenclature, terminology and causality assessment instruments (108). Patients with liver injury because of herbal products are also eligible to be included. Herein, a causality score ranging from 1 (definite) to 5 (unlikely) as well as a severity score ranging from 1 (mild) to 5 (fatal) is applied by three hepatologists of the DILIN study group, thereby minimizing individual biases. In addition to accounting for the input of the reporting investigator who took the history, performed the physical examination and supervised the data collection, a prospective evaluation of other potential causes of liver injury and serial laboratory data through at least 6 months of follow-up are offered. However, the DILIN expert opinion is limited by its lack of generalizability and a low level of agreement between the three hepatologists (109). Hence, a certain degree of inaccuracy in assigning causality remains until better diagnostic measures are established. Apart from diagnostic measures, better regulatory measures to assure safety and timely recognition of potentially harmful products require improvement and, thus, efforts of pharmacovigilance authorities and healthcare providers must jointly act to minimize risks and protect consumers. Manufactures must spend utmost care in providing users with clean and unadulterated products and should be held liable if this accidentally or carelessly fails. Finally, consumers should develop a more critical attitude towards the expectations and hopes associated with DS use in largely healthy individuals, and turn to measures for which safety data are known, and efficacy is proven. While hepatotoxicity from herbal medicines in general has been addressed in several reviews (15–18), summaries specifically devoted to liver-related risks along with DS are scarce (19). In the following, a panel of rather distinct DS preparations associated with liver injury are described ( Table 1). HSC, hepatic stellate cells; MFB, portal myofibroblasts. Herbalife® Various (weight loss, nutritional support, ‘well-being’) Variable (acute and chronic hepatitis, cholestasis, cirrhosis, hepatic failure) Unknown; autoimmunity? Bacterial contamination? Camellia sinensis (green tea) Weight loss Acute hepatitis Oxidative stress from (−)-epigallocatechin gallate? LipoKinetix® Weight loss Acute hepatitis Uncoupling of respiratory chain? Senna (Cassia angustifolia) Constipation Variable (acute hepatitis, granulomatous hepatitis, cirrhosis) Drug idiosyncrasy (CYP2D6 variation)? ; uncoupling of respiratory chain? Noni juice (Morinda citrifolia) ‘Immunostimulation’, health tonic Acute hepatitis, hepatic failure Unknown; drug-induced autoimmunity? Ma huang (Ephedra sinica) Weight loss Acute hepatitis, hepatic failure Unknown; drug-induced autoimmunity? Oxidative stress? Figure 1. 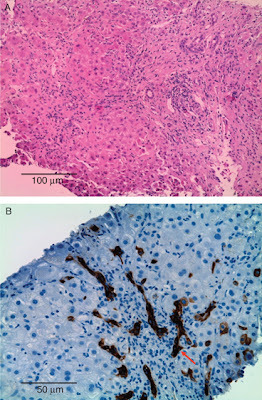 Liver histology from a patient with secondary biliary cirrhosis following long-term intake of numerous Herbalife® nutritional supplements contaminated with Bacillus subtilis. (A) Enlargement of portal tracts with fibrosis, chronic inflammation and porto-lobular interface activity as well as ductular proliferation of the bile ducts with reactive changes of the epithelium (HE staining). (B) Immunohistochemistry with anticytokeratin 7 indicating bile duct such as loss of biliary lumina and significant lympho-epithelial infiltration (see arrow). Green tea is among the most frequently consumed drinks in the USA and often used as a DS. The first report on liver injury following the ingestion of green tea extracts and preparations thereof was published in 1999 (31), and since then, numerous consecutive cases were reported to regulatory agencies worldwide. With effect of April 2003, the manufacturer of Exolise® (Arkopharma, Carros, France), a hydro-alcoholic extract of C. sinensis, has revocated all of their products after altogether 13 cases of acute liver damage following its intake were reported to the French pharmacovigilance authorities (Agence Francaise de Securité Sanitaire de Produits de Sanité; http://www.afssaps.sante.fr/). As a reaction to these accumulating reports, the US Pharmacopeia performed a systematic review of all cases accessible from PubMed, EMBASE and pharmacovigilance data bases in the USA, Canada, UK and Australia reporting on 34 single cases of liver injury following the ingestion of numerous different green tea preparations (32). Herein, case reports were retrospectively evaluated according to the Naranjo causality algorithm scale (33), and 27 reports pertaining to liver damage were labelled as ‘possibly’ and the remaining seven cases as ‘probably’ linked to green tea. Another Medline search review of cases on green tea liver injury from the same year also retrieved 34 published reports and described two further yet unpublished cases (34). On histological examination, livers of patients revealed inflammatory reactions, cholestasis, occasionally steatosis and necrosis. Although there was some overlap of single reports between these two review articles, collected case reports were not identical and jointly provided details on 58 cases of hepatotoxicity along with the intake of green tea extracts, powdered leaves, green tea infusions and hydro-alcoholic and aqueous extracts. In Mazzanti's summary, no causality re-evaluation was performed, but information on de- and rechallenge is provided for every case indicating a positive rechallenge response with accelerated recurrence of liver injury in seven of 36 incidents, which strongly suggests a causal relationship between the observed liver injury and green tea consumption. Of concern is that there was one reported death. However, a note of caution is warranted in many of the cases regarding an exclusive assignment of causality to green tea, because many patients who experienced adverse hepatic reactions also took numerous other products with a published record of hepatotoxicity, such as Cassia angustifolia, Hydroxycut and Ephedra sinica (for all three, please see below). Since these two review articles, additional cases have been published from Belgium reporting on a 42-year-old female patient who developed cholestatic hepatitis 6 months after starting Densitive® (Kerastase Nutritients, L'Oréal, Paris), which contains C. sinensis (35). Upon dechallenge, a full recovery was recorded. Other causes of liver injury were carefully excluded, but formal causality assessment using an established score was not performed. In the second case, jaundice, weight loss and subacute hepatitis developed in a 76-year-old man who regularly drank green tea infusions (36). Histology showed marked necro-inflammation, and transiently elevated antismooth muscle auto-antibodies were suggestive of autoimmunity induced by green tea constituents. Figure 2. Retinoids are substrates of cytochrome P450 2E1 and may be transformed into toxic polar retinoid metabolites. These can damage mitochondria by disrupting the mitochondrial membrane potential, releasing pro-apoptotic factors (e.g. cytochrome C) and initiating caspase activation and hepatocellular apoptosis. 1 Radimer K, Bindewald B, Hughes J, et al. Dietary supplement use by US adults: data from the national health and nutrition examination survey, 1999–2000. Am J Epidemiol 2004; 160: 339–49. 2 Landström E, Hursti UK, Becker W, Magnusson M. Use of functional food among Swedish consumers is related to health-consciousness and perceived effect. Br J Nutr 2007; 98: 1058–69. 3 Ni H, Simile C, Hardy AM. Utilization of complementary and alternative medicine by United States adults: results from the 1999 national health interview survey. Med Care 2002; 40: 353–8. 4 Kessler RC, Davis RB, Foster DF, et al. Long-term trends in the use of complementary and alternative medical therapies in the United States. Ann Intern Med 2001; 135: 262–8. 5 Reinert A, Rohrmann S, Becker N, Linseisen J. Lifestyle and diet in people using dietary supplements. Eur J Nutr 2007; 46: 165–73. 6 Michels Blanck H, Serdula MK, Gillespie C, et al. Use of nonprescription dietary supplements for weight loss is common among Americans. J Am Diet Assoc 2007; 107: 441–7. 7 Brevoort P. The booming US botanical market: a new overview. HerbalGram 1998; 44: 33–46. 8 Dorsch KD, Bell A. Dietary supplement use in adolescents. Curr Opin Pediatr 2005; 17: 653–7. 9 US Food and Drug Administration. Guidance, compliance and regulatory information. Available at http://www.fda.gov/food/dietarysupplements/GuidanceComplianceRegulatoryInformation (accessed 31 May 2009). 10 Coppens P, da Silva MF, Pettman S. European regulations on neutraceuticals, dietary supplements and functional foods: a framework based on safety. Toxicology 2006; 221: 59–74. 11 Gulati OP, Berry Ottaway P. Legislation relating to nutraceuticals in the European Union with a particular focus on botanical-sourced products. Toxicology 2006; 221: 75–87. 12 García-Cortés M, Borraz Y, Lucena MI, et al. Liver injury induced by “natural remedies”: an analysis of cases submitted to the Spanish Liver Toxicity Registry. Rev Esp Enferm Dig 2008; 100: 688–95. 13 Chalasani N, Fontana RJ, Bonkovsky HL, et al. Causes, clinical features, and outcomes from a prospective study of drug-induced liver injury in the United States. Gastroenterology 2008; 135: 1924–34. 14 Estes JD, Stolpman D, Olyaei A, et al. High prevalence of potentially hepatotoxic herbal supplement use in patients with fulminant hepatic failure. Arch Surg 2003; 138: 852–8. 15 De Smet PAGM. Herbal remedies. N Engl J Med 2002; 347: 2046–56. 16 Stickel F, Patsenker E, Schuppan D. Herbal hepatotoxicity. J Hepatol 2005; 43: 901–10. 17 Seeff LB. Herbal hepatotoxicity. Clin Liv Dis 2007; 11: 577–96. 18 Chitturi S, Farrell GC. Hepatotoxic slimming aids and other herbal hepatotoxins. J Gastroenterol Hepatol 2008; 23: 366–73. 19 Navarro VJ. Herbal and dietary supplement hepatotoxicity. Semin Liver Dis 2009; 29: 373–82. 20 Elinav E, Pinsker G, Safadi R, et al. Association between consumption of Herbalife® nutritional supplements and acute hepatotoxicity. J Hepatol 2007; 47: 514–20. 21 Schoepfer AM, Engel A, Fattinger K, et al. Herbal does not mean innocuous: 10 cases of severe hepatotoxicity associated with dietary supplements from Herbalife® products. J Hepatol 2007; 47: 521–6. 22 Duque JM, Ferreiro J, Salgueiro E, Manso G. Hepatotoxicity associated with the consumption of herbal slimming products. Med Clin (Barcelona) 2007; 128: 238–9. 23 Chao S, Anders M, Turbay M, et al. 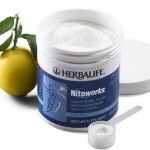 Toxic hepatitis by consumption Herbalife products a case report. Acta Gastroenterol Latinoam 2008; 38: 274–7. 24 Stickel F, Droz S, Patsenker E, et al. Severe hepatotoxicity following ingestion of Herbalife® nutritional supplements contaminated with Bacillus subtilis. J Hepatol 2009; 50: 111–7. 25 Johannsson M, Ormarsdottir S, Olafsson S. Hepatotoxicity associated with the use of Herbalife. Laeknabladid 2010; 96: 167–72. 26 Benichou C. Criteria of drug-induced liver disorders: report of an international consensus meeting. J Hepatol 1990; 11: 272–6. 27 Available at http://www.who-umc.org/DynPage.aspx?id=22682 (accessed 27 December 2010). 28 Hoffmann M, Marbet UA, Hurni A, Bianchi L, Göldi H. Rezidiv einer medikamentös-toxischen Hepatitis. Schweiz Med Forum 2005; 5: 147–8 (in German). 29 Manso G, Lopez-Rivas L, Duque JM, Salgueiro E. Spanish reports of hepatotoxicity associated with Herbalife® products. J Hepatol 2008; 49: 289–90. 30 Ignarro L, Heber D, Henig YS, Bejar E. Herbalife nutritional products and liver injury revisited. J Hepatol 2008; 49: 291–3. 31 Gavilan JC, Bermudez FJ, Salgado F, Pena D. Phytotherapy and hepatitis. Rev Clin Esp 1999; 199: 693–4. 32 Sarma DN, Barrett ML, Chavez ML, et al. Safety of green tea extracts. A systematic review by the US pharmacopeia. Drug Saf 2008; 31: 469–84. 33 Naranjo CA, Busto U, Sellers EM, et al. A method for estimating the probability of adverse drug reactions. Clin Pharmacol Ther 1981; 30: 239–45. 34 Mazzanti G, Menniti-Ippolito F, Moro PA, et al. Hepatotoxicity from green tea: a review of the literature and two unpublished cases. Eur J Clin Pharmacol 2009; 65: 331–41. 35 Verhelst X, Burvenich P, Van Sassenbroeck D, et al. Acute hepatitis after treatment for hair loss with oral green tea extracts (Camellia sinensis). Acta Gastroenterol Belg 2009; 72: 262–4. 36 Vanstraelen S, Rahier J, Geubel AP. Jaundice as a misadventure of a green tea (Camellia sinensis) lover. Acta Gastroenterol Belg 2008; 71: 409–12. 37 Galati G, Lin A, Sultan AM, O'Brien PJ. Cellular and in vivo hepatotoxicity caused by green tea phenolic acids and catechins. Free Radic Biol Med 2006; 40: 570–80. 38 Lin BR, Yu CJ, Chen WC, et al. Green tea extract supplement reduces D-galactosamine-induced acute liver injury by inhibition of apoptotic and proinflammatory signaling. J Biomed Sci 2009; 16: 35. 39 Kobayashi H, Tanaka Y, Asagiri K, et al. The antioxidant effect of green tea catechin ameliorates experimental liver injury. Phytomedicine 2010; 17: 197–202. 40 Zhong Z, Froh M, Lehnert M, et al. Polyphenols from Camellia sinenesis attenuate experimental cholestasis-induced liver fibrosis in rats. Am J Physiol Gastrointest Liver Physiol 2003; 285: G1004–13. 41 Jin X, Zheng RH, Li YM. Green tea consumption and liver disease: a systematic review. Liver Int 2008; 28: 990–6. 42 Durazo FA, Lassman C, Han SB, et al. Fulminant liver failure due to usnic acid for weight loss. Am J Gastroenterol 2004; 99: 950–2. 43 Favreau JT, Ryu ML, Braunstein G, et al. Severe hepatotoxicity associated with the dietary supplement LipoKinetix. Ann Intern Med 2002; 136: 590–5. 44 Neff GW, Reddy KR, Durazo FA, et al. Severe hepatotoxicity associated with the use of weight loss diet supplements containing ma huang or usnic acid. J Hepatol 2004; 41: 1062–4. 45 Sanchez W, Maple JT, Burgart LJ, Kamath PS. Severe hepatotoxicity associated with use of a dietary supplement containing usnic acid. Mayo Clin Proc 2006; 81: 541–4. 46 Han D, Matsumaru K, Rettori D, Kaplowitz N. Usnic acid-induced necrosis of cultured mouse hepatocytes: inhibition of mitochondrial function and oxidative stress. Biochem Pharmacol 2004; 67: 439–51. 47 US Food and Drug Administration. Warning on Hydroxycut products. Available at http://www.fda.gov/ForConsumers/ConsumerUpdates/ucm152152.htm (accessed 31 May 2009). 48 Dara L, Hewett J, Lim JK. Hydroxycut hepatotoxicity: a case series and review of liver toxicity from herbal weight loss supplements. World J Gastroenterol 2008; 14: 6999–7004. 49 Fong TL, Klontz KC, Canas-Coto A, et al. Hepatotoxicity due to Hydroxycut: a case series. Am J Gastroenterol 2010; 105: 1561–6. 50 Lobb A. Hepatoxicity associated with weight-loss supplements: a case for better post-marketing surveillance. World J Gastroenterol 2009; 15: 1786–7. 51 Beuers U, Spengler U, Pape G. Hepatitis after chronic abuse of senna. Lancet 1991; 337: 372–3. 52 Seybold U, Landauer N, Hillebrand S, Goebel FD. Senna-induced hepatitis in a poor metabolizer. Ann Intern Med 2004; 141: 650–1. 53 Vanderperren B, Rizzo M, Angenot L, et al. Acute liver failure with renal impairment related to the abuse of senna anthraquinone glycosides. Ann Pharmacother 2005; 39: 1353–7. 54 Sonmez A, Yilmaz MI, Mas R, et al. Subacute cholestatic hepatitis likely related to the use of senna for chronic constipation. Acta Gastroenterol Belg 2005; 68: 385–7. 55 Soyuncu S, Cete Y, Nokay AE. Portal vein thrombosis related to Cassia angustifolia. Clin Toxicol (Philadelphia) 2008; 46: 774–7. 56 de Witte P, Lemli L. The metabolism of anthranoid laxatives. Hepatogastroenterology 1990; 37: 601–5. 57 Millonig G, Stadelmann S, Vogel W. Herbal hepatotoxicity: acute hepatitis caused by a Noni preparation (Morinda citrifolia). Eur J Gastroenterol Hepatol 2005; 17: 45–7. 58 Stadlbauer V, Fickert P, Lackner C, et al. Hepatotoxicity of NONI juice: report of two cases. World J Gastroenterol 2005; 11: 4758–60. 59 Yuce B, Gulberg V, Diebold J, Gerbes AL. Hepatitis induced by Noni juice from Morinda citrifolia: a rare cause of hepatotoxicity or the tip of the iceberg? Digestion 2006; 73: 167–70. 60 López-Cepero Andrada JM, Lerma Castilla S, Fernández Olvera MD, Amaya Vidal A. Hepatotoxicity caused by a Noni (Morinda citrifolia) preparation. Rev Esp Enferm Dig 2007; 99: 179–81 (in Spanish). 61 Stadlbauer V, Weiss S, Payer F, Stauber RE. Herbal does not at all mean innocuous: the sixth case of hepatotoxicity associated with Morinda citrifolia (noni). Am J Gastroenterol 2008; 103: 2406–7. 62 Duchini A. Autoimmune hepatitis and interferon beta-1a for multiple sclerosis. Am J Gastroenterol 2002; 97: 767–8. 63 Kamiyama T, Nouchi T, Kojima S, et al. Autoimmune hepatitis triggered by administration of an herbal medicine. Am J Gastroenterol 1997; 92: 703–4. 64 West BJ. Hepatotoxicity from interferon-beta, not noni juice. Digestion 2006; 74: 47–8. 65 West BJ, Jensen CJ, Westendorf J. Noni juice is not hepatotoxic. World J Gastroenterol 2006; 12: 3616–9. 66 West BJ, Su CX, Jensen CJ. Hepatotoxicity and subchronic toxicity tests of Morinda citrifolia (noni) fruit. J Toxicol Sci 2009; 34: 581–5. 67 Wang MY, Anderson G, Nowicki D, Jensen J. Hepatic protection by noni fruit juice against CCl(4)-induced chronic liver damage in female SD rats. Plant Foods Hum Nutr 2008; 63: 141–5. 68 Nadir A, Agrawal S, King PD, Marshall JB. Acute hepatitis associated with the use of a Chinese herbal product, Ma-Huang. Am J Gastroenterol 1996; 91: 1436–8. 69 Borum ML. Fulminant exacerbation of autoimmune hepatitis after the use of Ma huang. Am J Gastroenterol 2001; 96: 1654–5. 70 Bajaj J, Knox JF, Komorowski R, Saeian K. The irony of herbal hepatitis: Ma-Huang-induced hepatotoxicity associated with compound heterozygosity for hereditary hemochromatosis. Dig Dis Sci 2003; 48: 1925–8. 71 Neff GW, Reddy KR, Durazo FA, et al. Severe hepatotoxicity associated with the use of weight loss diet supplements containing ma huang or usnic acid. J Hepatol 2004; 41: 1062–4. 72 Nelson R. FDA issues alert on ephedra supplements in the USA. Lancet 2004; 363: 135. 73 Diaz D, Ferroudji S, Heran B. Hépatite aigue à la Germandrée petit-chene. Gastroenterol Clin Biol 1993; 16: 1006–7. 74 Larrey D, Vial T, Pauwels A, et al. Hepatitis after Germander (Teucrium chamaedrys) administration: Another instance of herbal medicine hepatotoxicity. Ann Int Medicine 1992; 117: 129–32. 75 Mostefa-Kara N, Pauwels A, Pines E, et al. Fatal hepatitis after herbal tea. Lancet 1992; 340: 674. 76 Dao T, Peytier A, Galateau F, Valla A. Hépatite chronique cirrhogene a la germandrée petit-chene. Gastroenterol Clin Biol 1993; 17: 609–10. 77 Piozzi F, Rodriguez B, Savona G. Advances in the chemistry of the furanoditerpenoids from Teucrium species. Heterocycles 1987; 25: 807–41. 78 Lekehal M, Pessayre D, Lereau JM, et al. Hepatotoxicity of the herbal medicine, germander. Metabolic activation of its furano diterpenoids by cytochrome P450 3A depletes cytoskeleton-associated protein thiols and forms plasma membrane blebs in rat hepatocytes. Hepatology 1996; 24: 212–8. 79 Fau D, Lekehal M, Farrell G, et al. Diterpenoids from germander, an herbal medicine, induce apoptosis in isolated rat hepatocytes. Gastroenterology 1997; 113: 1334–46. 80 Kanda T, Yokosuka O, Tada M, et al. N-nitroso-fenfluramine hepatotoxicity resembling chronic hepatitis. J Gastroenterol Hepatol 2003; 18: 999–1000. 81 Adachi M, Saito H, Kobayashi H, et al. Hepatic injury in 12 patients taking the herbal weight loss aids Chaso or Onshido. Ann Intern Med 2003; 139: 488–92. 82 Nakagawa Y, Tayama S, Ogata A, Suzuki T, Ishii H. ATP-generating glycolytic substrates prevent N-nitrosofenfluramine-induced cytotoxicity in isolated rat hepatocytes. Chem Biol Interact 2006; 164: 93–101. 83 Nakagawa Y, Suzuki T, Kamimura H, Nagai F. Role of mitochondrial membrane permeability transition in N-nitrosofenfluramine-induced cell injury in rat hepatocytes. Eur J Pharmacol 2006; 529: 33–9. 84 Minuk GY, Kelly JK, Hwang WS. Vitamin A hepatotoxicity in multiple family members. Hepatology 1988; 8: 272–5. 85 Geubel AP, De Galocsy C, Alves N, Rahier J, Dive C. Liver damage caused by therapeutic vitamin A administration: estimate of dose-related toxicity in 41 cases. Gastroenterology 1991; 100: 1701–9. 86 Becker P, Maurer B, Schirmacher P, et al. Vitamin A-induced cholestatic hepatitis: a case report. Z Gastroenterol 2007; 45: 1063–6. 87 Ramanathan VS, Hensley G, French S, et al. Hypervitaminosis A inducing intra-hepatic cholestasis – a rare case report. Exp Mol Pathol 2010; 88: 324–5. 88 Penniston KL, Tanumihardjo SA. The acute and chronic effects of vitamin A. Am J Clin Nutr 2006; 83: 191–201. 89 Carpenter TO, Pettifor JM, Russell RM, et al. Severe hypervitaminosis A in siblings: evidence of variable tolerance to retinol intake. J Pediatr 1987; 111: 507–12. 90 Krasinski SD, Russell RM, Otradovec CL, et al. Relationship of vitamin A and vitamin E intake to fasting plasma retinol, retinol-binding protein, retinyl esters, carotene, alpha-tocopherol, and cholesterol among elderly people and young adults: increased plasma retinyl esters among vitamin A-supplement users. Am J Clin Nutr 1989; 49: 112–20. 91 Kowalski TE, Falestiny M, Furth E, Malet PF. Vitamin A hepatotoxicity: a cautionary note regarding 25.000 IU supplements. Am J Med 1994; 97: 523–8. 92 Leo MA, Lieber CS. Alcohol, vitamin A, and beta-carotine: adverse interactions, including hepatotoxicity and carcinogenicity. Am J Clin Nutr 1999; 69: 1071–85. 93 Nollevaux MC, Guiot Y, Horsmans Y, et al. Hypervitaminosis A-induced liver fibrosis: stellate cell activation and daily dose consumption. Liver Int 2006; 26: 182–6. 94 Liu C, Russell RM, Seitz HK, Wang XD. Ethanol enhances retinoic acid metabolism into polar metabolites in rat liver via induction of cytochrome P4502E1. Gastroenterology 2001; 120: 179–89. 95 Dan Z, Popov Y, Patsenker E, et al. Hepatotoxicity of alcohol-related polar retinoid metabolites involves apoptosis via loss of mitochondrial membrane potential. FASEB J 2005; 19: 845–7. 96 US Department of Justice, Drug Enforcement Administration (DEA). Rules 2005-Implementation of the Anabolic Steroid Control Act of 2004. Available at http://www.deadiversion.usdoj.gov/fed_regs/rules/2005/fr1216.htm(accessed 27 December 2010). 97 Ishak KG. Hepatic lesions caused by anabolic and contraceptive steroids. Semin Liver Dis 1981; 1: 116–28. 98 Erlinger S. Drug-induced cholestasis. J Hepatol 1997; 2 (Suppl. 1): 1–4. 99 Shah NL, Zacharias I, Khettry U, Afdhal N, Gordon FD. Methasteron-associated cholestatic liver injury: clinicopathologic findings in 5 cases. Clin Gastroenterol Hepatol 2008; 6: 255–8. 100 Kafrouni MI, Anders RA, Verma S. Hepatotoxicity associated with dietary supplements containing anabolic steroids. Clin Gastroenterol Hepatol 2007; 5: 809–12. 101 Krishnan PV, Feng ZZ, Gordon SC. Prolonged intrahepatic cholestasis and renal failure secondary to anabolic steroid-enriched dietary supplements. J Clin Gastroenterol 2009; 43: 672–5. 102 Schwingel PA, Cotrim HP, Salles BR, et al. Anabolic-androgenic steroids: a possible new risk factor of toxicant-associated fatty liver disease. Liver Int 2010. DOI: DOI: 10.1111/j.1478-3231.2010.02346.x. 103 WHO. WHO Guidelines on Safely Monitoring of Herbal Medicines in Pharmacovigilance Systems. Geneva: WHO, 2004. 104 Garcia-Cortés M, Lucena MI, Pachkoria K, et al. Evaluation of Naranjo adverse drug reactions probability scale in causality assessment of drug-induced liver injury. Aliment Pharmacol Ther 2008; 27: 780–9. 105 Danan G, Benichou C. Causality assessment of adverse reactions to drugs I. A novel method based on the conclusions of international consensus meetings: application to drug-induced liver injuries. J Clin Epidemiol 1993; 46: 1323–30. 106 Aithal GP, Rawlins MD, Day CP. Clinical diagnostic scale: a useful tool in the evaluation of suspected hepatotoxic reactions. J Hepatol 2000; 33: 949–52. 107 Lucena MI, Camargo R, Andrade RJ, et al. Comparison of two clinical scales for causality assessment in hepatotoxicity. Hepatology 2001; 33: 123–30. 108 Fontana RJ, Watkins PB, Bonkovsky HL, et al. Drug-induced liver injury network (DILIN) prospective study: rationale, design and conduct. Drug Saf 2009; 32: 55–68. 109 Fontana RJ, Seeff LB, Andrade RJ, et al. Standardization of nomenclature and causality assessment in drug-induced liver injury: summary of a clinical research workshop. Hepatology 2010; 52: 730–42. Looking for Prostate vitamin products online available in market now for you are get to glow skin everywhere. Proto-col Slim-Fizz is a unique appetite suppressant that contains the groundbreaking fibre Glucomannan, which is an organic soluble fibre derived from fresh Konjac. New Diet Taps into Revolutionary Plan to Help Dieters LOSE 23 Pounds in Just 21 Days!